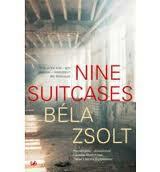 A Holocaust Story from Nine Suitcases: Given the Chance to Escape the Python’s Throat, Would We All Take It? In the spring of 1944 a large group of Hungarian Jews, Zsolt among them, was being detained in an enclosed ghetto in Nagyvárad, Hungary. The town was five kilometers from the Romanian border (and in fact is now part of Romania). The Jews knew that very soon they would be forced onto railroad cattle cars and taken to Auschwitz. Because of the harsh treatment they had been receiving, and also because of suicides, many had died; and during this time of waiting, about fifty men were assigned to bury the dead. Freidländer told the others, and as Zsolt puts it, “They conferred in wary whispers. What if he was trying to trick them—they would start and he would shoot them. And even if he meant well . . . they would be caught after ten steps. . . . Even if they got as far as the border, which was indeed only five kilometers away, how would they steer clear of the border guards? . . . And if they weren’t polished off by the Romanians, what would happen to their families in the ghetto? They couldn’t leave their families, parents, children, wives, behind without a man. Of course they could do nothing to help at the moment, but all these dependents would be lost if they were taken away somewhere without the men. And even if it was true that families would be split up and sent to separate camps for men and women, what would the family in the ghetto say if the husband or father escaped alone? And what happened then? As Grosz hurried on toward the border, he became more and more afraid at the sight of each passer-by, even though these people did not stop him or threaten him. Indeed, one even encouraged him, told him how to reach the border. But Grosz was paralyzed by the fear that he’d be captured—and by the fear of what he would have to face alone if he weren’t. This is the kind of story I would scarcely have believed when I was twenty, but now I understand it, sympathetically recognizing the impulses. There is a reason people band together in families, in communities. Although Zsolt seems to tell this story with bitterness, as a commentary on cowardice, I think it is also a demonstration of the deeply visceral way people need each other. Life is not meant to be faced alone. And neither is death. This entry was posted in History and tagged books, Eastern Europe, Holocaust, Hungary, research, World War II by Connie Connally. Bookmark the permalink.